What Are the Benefits of Buying a Prefab House? 09 Aug What Are the Benefits of Buying a Prefab House? You are at a 5-star seafood restaurant. Your friend, who has eaten there, raves about the crab cakes, but you’ve never eaten crab before. In fact, you’ve never had seafood of any kind. After 20 minutes of looking at the entrees, you give up and order grilled cheese off the kids’ menu. Why? Because people feel comfortable with what they know. Though it’s not quite the same as a seafood dining experience, many people don’t consider a prefab house simply because the process is not familiar to them. However, once they see the benefits of buying a prefab house, they get excited about the modular building process. That’s right, a prefab home, or modular home, may seem like a foreign concept at first, but once you’ve gotten a taste of the benefits, you will be hooked. Isn’t a prefab home a trailer? A prefab (short for “prefabricated”) home is a home that is built off-site and then moved to your property and set in place. “Prefab” is a broad term that refers to several types of home, such as mobile home trailers. However, in this instance, we refer to modular homes. Modular homes are built in sections, which are then attached to one another on-site, similar to the way a child thinks of toy blocks. However, modular homes don’t look like boxes. No, these “blocks” come in all sizes and shapes and when assembled can create anything from a one-room schoolhouse to a castle. We mentioned there are several benefits to buying a prefab house, but let’s take a closer look at three of them. All things being the same, except the building process, a prefab modular home will cost you 15%-20% less to build than a traditional stick-built home. The reason they cost less is that you don’t have to worry about construction waste. Materials are stored at the factory and used for multiple projects. Buying in bulk gives your builder a discount which he then passes along to you. This benefit may actually only be a Next Modular benefit but it is one of the best. We cost less because we hire local subcontractors that we know. We pride ourselves on finding the most qualified people who truly care about the work they do. Not only that, WE care. You will often find the owner of Next Modular at the job site, personally handling the details of your project. 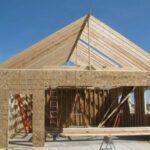 Many people don’t consider custom homebuilding simply because they see it as a more time-consuming and complicated process. In their minds, it’s more simple to build a home on-site from an existing plan or purchase one that has already been built. They are willing to give up a few “dreams” thinking that they have no choice. Yet, the two biggest hurdles, time and money, shrink with a prefab home. You CAN have that dream home you want through customization and modular building techniques. Modular home prices may be lower, but homeowners could wonder if they’re getting the best deal in terms of quality. 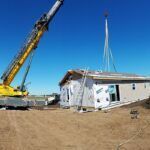 One of the best things about prefab homes is that they are under the exact same building ordinances and safety laws as a home built on-location. You don’t need to fear faulty structure or flawed design any more than you would on a regular home. In fact, prefab homes are often safer. As they are assembled like building blocks after transportation, their measurements have to be exact. High quality and low cost are a duo you cannot pass up. Imagine you’re back at the seafood restaurant. You’re looking at the menu again, but this time, you’ve been given samples of the various dishes. Grilled cheese no longer sounds appetizing. Instead, you embrace change and order the crab. It’s as delicious as your friend said it would be. We’ve given you a taste of the benefits you can expect from a prefab home. Call us with your questions, we will be happy to explain the process further. If you live within 70 miles of Goshen, Indiana, Next Modular can build and assemble a customized prefab home on your building site. 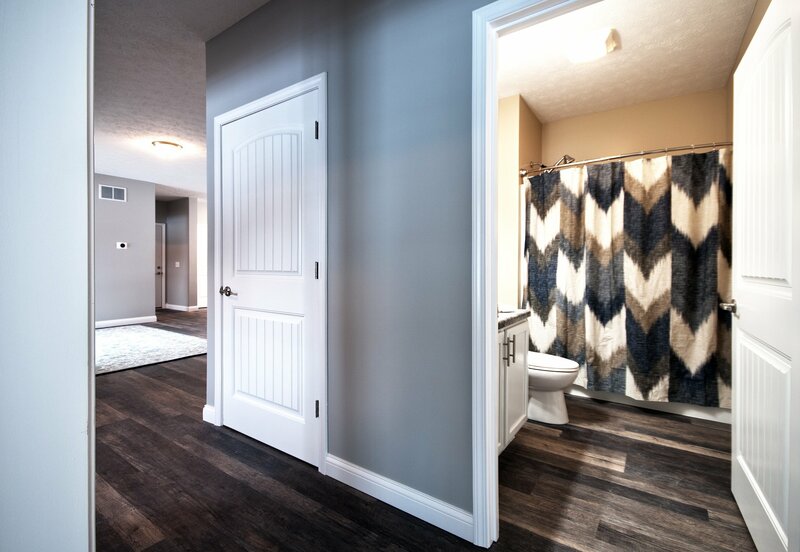 Select one of their hundreds of modular home floor plans and call Next Modular to find out how you can customize it into your very own dream home.